As part of a long series of Vietnam’s policy objectives, English education has been identified as key to improving the quality of its rapidly expanding tertiary institutions and is crucial to the larger aim of modernising and internationalising its economy. 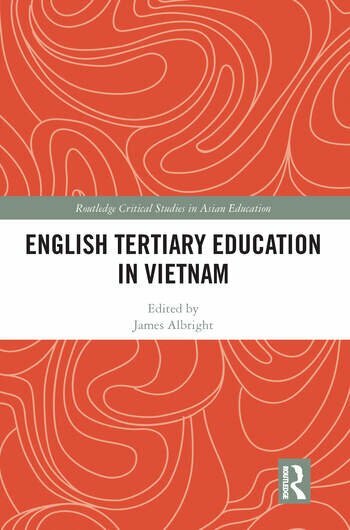 Bringing together a wide range of Vietnamese and foreign English education scholars, and tertiary educational practitioners, this book documents the significant progress and challenges in the realisation of Vietnam’s English language policies as they are enacted in the higher education sector. Changes to Vietnam’s higher education system remain unstable, unsystematic, and insubstantial. This book provides insights into how recent Vietnamese government policy is providing for a substantial and comprehensive renewal of Vietnam’s tertiary education as part of their 2020 plan. Academics and students of English education, language policy, and nation building within the context of increased globalisation and marketisation in developing nations and Vietnam, in particular, should find this book valuable.